Blessed with rich fertile soil in the Delta and Black Belt regions, Mississippi's landscape is relatively flat and varies slightly from east to west and from north to south. Generally, the western and southern regions of Mississippi, including the Gulf Coast area, are wetter and more humid. Its pre-European history was dominated by a Mississippian American Indian culture which flourished for hundreds of years, and who first met Hernando de Soto as he passed through the region in 1540. 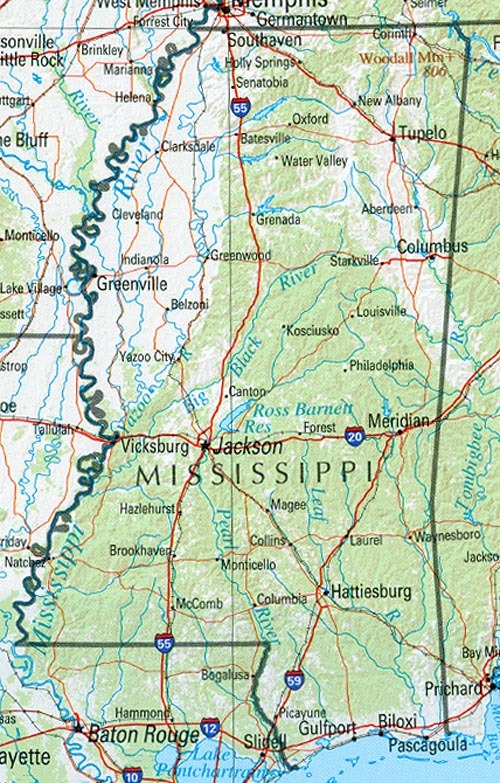 The Territory of Mississippi was organized in 1798, and was expanded several times through treaties with the American Indian tribes and land claimed from the Spanish. On December 10th, 1817, Mississippi became the 20th state admitted to the Union. Cotton began to be farmed intensively from the 1800's onward, underpinning the wealth and culture of Deep South plantation owners, though the cotton industry necessitated the need for hundreds of thousands of slaves. 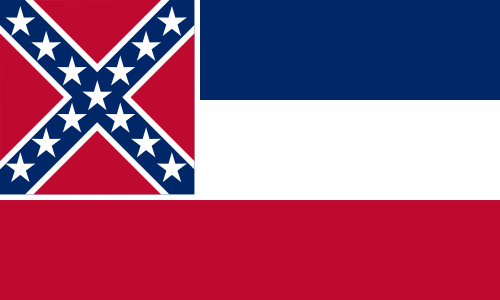 Mississippi became the second state in the Union to secede from the North and join the Confederacy on January 9th, 1861. After being readmitted to the Union in 1870, the state underwent a period known as the Jim Crow era, where segregation of Whites and Blacks remained the rule well into the 1960's. According to 2004 estimates, some 37% of Mississippi's population is African American, who were the majority population until the 1940's. The White population of the state is predominantly native-born, and typically of Northern European descent. The economy of Mississippi has yet to recover from the Civil War era (in the 1850's, Mississippi was one of the wealthiest states in the U.S.) though the state is currently undergoing increasing industrialization. The 2004, per capita income of Mississippi is 51st in the U.S. (including the District of Columbia), and has one of the highest percentages of the population below the poverty level. Jackson is the largest city and state capital, and the Gulf Coast area, though devastated by Hurricane Katrina, is the wealthiest region in the state. The largely conservative political makeup has led to Republican victories in the last two Presidential elections, though before the gradual platform shift of Southern Democrats, Mississippi had string of 116 consecutive years of Democratic Governorship. 28th May 2011	 This is very telling. 116 years of democratic leadership and the state is in shambles. 9th June 2008	 This is the worst state in the union. Just look at the stats.